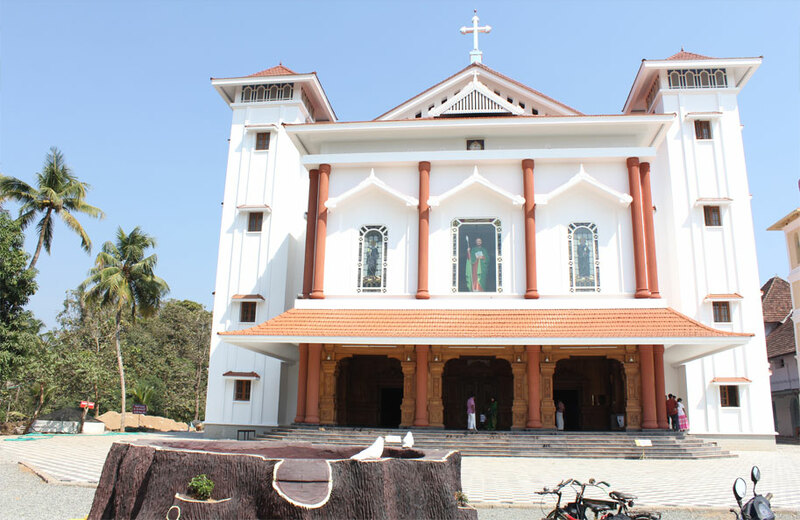 Kurisumudi is at Malayattoor and is famous as it was visited by St. Thomas who was an Apostle of Jesus. St. Thomas prayed to Lord from this mountain and when he touched a rock, a golden symbol of a cross appeared there. Later when this golden cross was seen by the locals, they lighted a lamp near it. They made it a practice to light here every day. Some of the holy places in Kurisumudi are Marthoma Mandapam, Sannidhi, Ancient Chapel, Miraculous water spring, Golden Cross and the Foot prints of St. Thomas. The Marthoma Mandapam that is constructed on a highest point of this mount contains the relics of St. Thomas. The visitors can offer prayers from here. Sannidhi is a chapel where prayers are conducted. The holy Eucharist is also held from here. There is an Ancient Chapel here which was attacked by some elephants. As this area was covered by forests long ago, wild animals wandered through this place. Major damages were not made to this chapel and the marks of the damage made by the elephants can be seen. Another attraction is a well which is believed to be made by St. Thomas by his powers. The pilgrims consider it as sacred and carry some along with them for healing any ailments. The Holy cross is kept here and thousands pray from here. There is also a rock with the foot marks of St. Thomas. The feast is conducted here on the next Sunday to Easter and the Octave on the following Sunday. Thousands of people visit this pilgrim centre irrespective of caste and religion. Few of them also carry a cross along with them while climbing the hill. The pilgrims to this place are mostly from Tamil Nadu. Different types of offerings are made by the devotees. The pilgrims carry lighted candles along with them while climbing the hill and chant prayers. There are some women who carry brooms with them on their way with the belief that if they do so, their hair grows long. There are many who carry stones on their head to relieve from headaches.